The recruitment industry is vast and I once heard that there are as many recruitment agencies in the UK as there are restaurants! With so many to choose from, how are you going to ensure that you select and invest in the correct recruitment consultancy for your business? 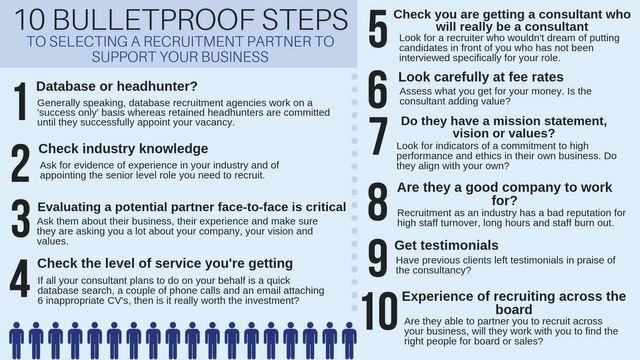 Here are our 10 bulletproof steps to selecting a recruitment partner for your business.